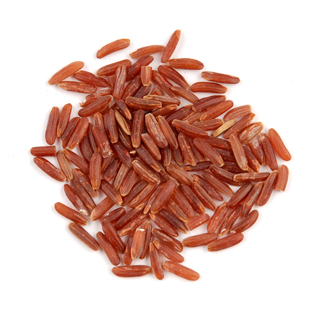 Red rice is rice that are not milled or semi-milled, so to say whole grain or grained intact. Red rice has taste a bit like nuts and more chewy instead of white rice. though stale faster, but red rice more nutritious. In some countries in Asia, red rice formerly associated with the poverty or the war and rarely consumed except by those who are sick, elderly, and people with constipation. But now red rice be more expensive than rice white because of the limited supply, the difficulty of storage and transportation. Differences Red Rice and White Rice Actually between red rice and rice plain white is not too much different. Difference between the two lies in the processing and nutritional content. If the outer layer or epidermis / chaff from the grain shelled the result is red rice. however if the inner layer or bran also shelled, then the result is plain white rice. Some types of vitamins and minerals be lost in the milling process grain. As a result, some nutrients are lost as vitamins B1, B3, and iron are often added back on rice white so labeled "enriched" (enriched). While the red rice, a type of mineral that is not need to be added are magnesium.